This anti-bacterial all purpose cleaner from Method uses a sustainable, naturally derived lactic acid formula to kill 99.9% of bacteria including enterococcus hirae, saphylococcus aureus, escherichia coli, pseudomonas aeruginosa, leaving your surfaces sparkling clean and safe without using nasty chemicals. With a delightful wild rhubarb scent it is a great choice for the home, and it is cruelty free, suitable for vegans, paraben free and safe for septic tanks. Please note this product is not suitable for use on natural stones or porous surfaces such as marble or limestone. 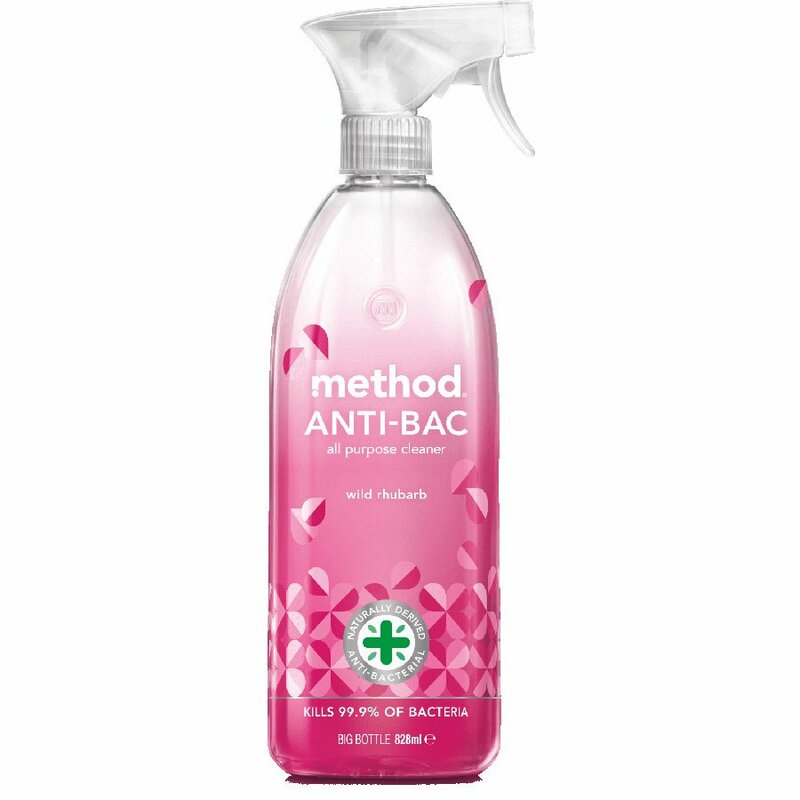 There are currently no questions to display about Method Anti-Bac All Purpose Cleaner - Wild Rhubarb - 828ml.